Playing hard won't help you here as you can only buy one gold key with wreaths. Seems Xmas is all about the money.. The Tower of Pwnage isn't giving out wreaths for completion as stated above. You have to start a new holiday tower. It looks like a great event guys, well thought out ! My only complaint though is the pricing and the wreath ratio..... It's almost impossible to get a skin or gold key just by playing the game. Could we see a tweak in pricing or wreath ratio? Can I save my quests from day one til I have my quests from day 2 unlocked at the same time? And then do all of the quests at once? Theoretically, can I have 12 days of quests all stacked up at once or will they expire? Although it seems like a great event to me I think that the items in the shop are seriously overpriced if one concerns that PVE dungeons aren't nearly infinitely rerunable because there are no stamina-dropping "pumpkins" (presents, whatsoever). If I just calculate the amount of wreaths I could get if I spent every point of stamina I had it would be ~ 250 stamina a day + 175 from the tower which accumulates to 425 stam. Which is 85 dungeon runs which is on average (15,20,30 ~ average 22) 85*22 = 1870 + 12 * 90 from PvP + sometimes ToP = ca 3000 wreaths a day when one doesnt miss anything out. 3000 * 14 = 42000... That's not even enough to get a single skin. Am I overseeing something? You're not accounting for quests, special event dungeons, and other bonuses that will be happening over the course of the event. Trust me, there'll be more than enough wreaths to go around. If that means that those special dungeons and bonuses accumulate for the 5000 wreaths one has to pay to even unlock them plus something for the skin... I'd be more than happy, but I'm afraid this won't be the case... I'll put my faith in you dear Sir! The key collecting issue should now be resolved. Thanks for your patience, and enjoy Winterfest! Of course. It's perfectly clear. Now that I just ran the Tower I just lost the wreaths because I didn't use a key in the door first. So annoyed. I think we need a bit of a q & a on this event. It's a little confusing. It is resolved for me. Thanks! Will we able to loot wreaths from honour summons too?? Does a "day" on the calendar start at midnight or at 3 pm CST, or...? So because the keys in the mailbox were broken and no one could accept them, can something be done for the people who already completed the tower? Which keys in the mailbox? In the mail that says "Welcome to Winterfest," you're given keys. 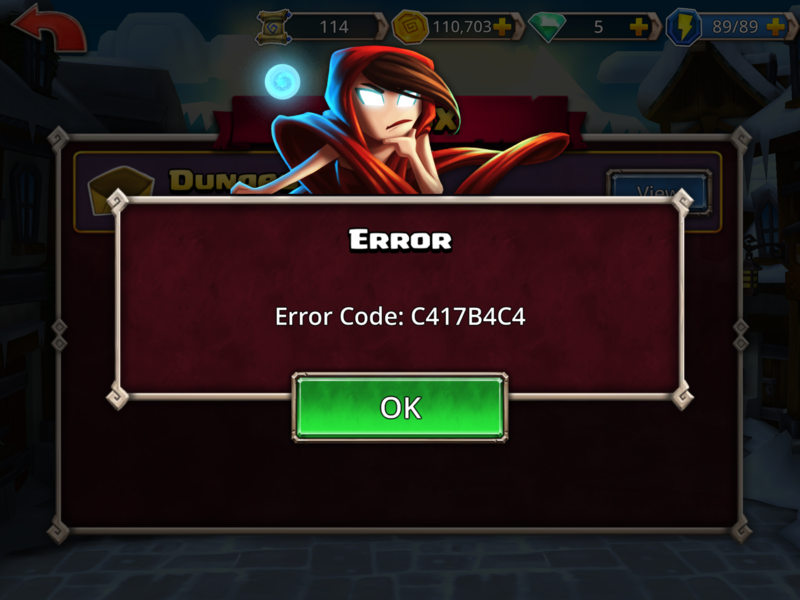 The problem is that everyone and their mothers received an error code when they tried to redeem it. No, but there will be plenty of other places to get them! If you're not playing the game in English, you should be getting your keys shortly. Thanks for the quick response Joel. 1. events quests are linked to door and not day, right? So opening door one will give same quests no matter what day ? 2. Will door two rewards be visible even if door one hasn't been unlocked? First, I'm going to have to miss a day or two during a move, can I make up the lost doors (I understand I may miss some quests) afterwards and "catch up"? Guys. I want to like this event. But, right now I just find it confusing. . I don't mind buying some keys. But, I really don't like guessing games. Hopefully it will get better soon. Because Halloween was awesome, and last Christmas was also. So, if I play hard and get 1 gold key for each door every day, and use that gold key, there is no way to have any gold keys left over for the "surprise" joveth mentioned. It would be nice to know what the surprise is and how many keys and/or wreaths we might need for this surprise so we can decide how many keys and wreaths we want to save. You can only get 1 gold key from what I've gathered Unless you buy that is. No matter how hard you play, 1 gold key is it. 1. "AH! I just found out about this amazing event! What if I join in the 7th day of the event…do I miss out on the earlier quests and rewards? Nope! You’ll be able to unlock each door and finish quests up to the 7th day!" Same thing if you miss a day. 2. There are still 13 days worth of Winterfest to get plenty of wreaths. Yes, but there's a LOT of value behind those bronze and silver doors. Trust me, nobody is leaving Winterfest empty-handed. Agreed. There's too much up in the air, and it seems too unforgiving to try and figure the event out as you go. I'll wait for more answers/clarification before using any keys. Also, who thought it was a good idea to put a Tower quest on the first day of an extremely convoluted event - knowing (1) a lot of people would've already completed it before the event went live and (2) people wouldn't inherently know the tower quest only went live once the first door was unlocked. C'mon man! I didn't unlock the first door so far and got 110 wreathes for completing a floor? @joveth I did the tower and received wreaths for completing each floor but the top of the tower did not have the new hero. Am I missing something? Also do we have to pick one the three doors gold, silver or bronze?